This is a follow-up to our blog article last week. We are spending a little extra time on the topic of flood control right now because this is the season that we find most people are affected by heavy rains, water rising and flood damage. Many of you ask about the best way to fill sand bags, so we wanted to provide some additional tips. Thank to Tim for his very helpful video. One of our other favorite flood control products is the self-inflating sand bag, just because of its ease of use. These bags expand automatically when they come in contact with water, inflating to as much as 40-44 lbs in 3-5 minutes. We hope you find this helpful. 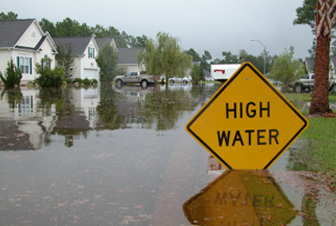 If you still have questions about which products to use for flood control and water absorption needs, don’t hesitate to call us at 877-966-1018 and we can help you out.